The idea of writing about new releases came to me after I had been struggling with writers block – it’s a weird time of the year to constantly find new topics to write about, since I already wrote about upcoming album releases (here), upcoming shows in Chicago (here) and my favorite albums to listen to during the fall (here). It’s far too early in 2017 to write about my favorite albums of the year – although the draft has been worked on. With that being said, I have had people talk to me on social media about the songs that I post about on Twitter and/or Instagram and how they tend to listen to music I post about (which makes me SO happy!) so I realized that this format would be the perfect way to share some new music I’ve discovered in one place – with a playlist to go with it. Hopefully you find some new music after reading this post – and keep checking back for new content: I’m planning a lot of new content to write about to celebrate 2017’s milestones in music. Below are 10 newly released songs that I’ve been listening to nonstop over the last week: hope you enjoy! I had absolutely no idea that Bad Suns had been working on new music and that they had plans to release anything soon. I’ve written about Bad Suns before and I’ve been pretty snobby about how long I’ve been following their career: I first discovered them in January 2014 after a friend had shared that they would be performing at JBTV Studios (Google it to see what it is, it’s pretty amazing. I had my first internship there). Anyway, fast forward to the end of 2017 and I have seen Bad Suns perform four times (I think) and just recently bought tickets to their next show in Chicago. I think that their sound is very unique in that lead singer Christo Bowman has a voice unlike anyone else’s that I’ve ever heard – and it definitely continues to set them apart. Most of their music is on popular topics like love and growing up, but this song is a little different. It seems to discuss a young adult struggling with coming to terms that their parents are divorcing – which is more personal than anything that they have released in year’s prior. Even if you can’t personally relate to the topic at hand, my favorite line, “Now my life revolves around clichés I hated as a kid” can really resonate with any 20-something. I have to admit that I haven’t been too invested in Charlie Puth’s music – I did enjoy his duet with Selena Gomez, “We Don’t Talk Anymore,” but all of his other singles didn’t really resonate with me too much. Then I heard his new song, “How Long.” I’m really obsessed with his musicianship in this song – the choppy singing style he pairs with the beats of the bass line is really catchy without sounding too gimmicky to current trends in pop music. I hear a lot of DNCE and Bruno Mars in this song – and I think that’s a pretty cool combination. Charlie Puth’s second album is set to be released later this fall and he has stated that he’s “avoiding the direction of love ballads” in his upcoming album, evident in this song for sure. I’m exciting to see what’s next from him. I admit that I haven’t really been the biggest fan of Demi Lovato since her recent transformation to straight up pop music. I grew up listening to her older stuff and that was the music that I tended to prefer from her. I didn’t plan on listening to her recent album release since her previous single, “Sorry Not Sorry” was not my cup of tea. However, this song ended up on my “New Music Friday” playlist on Spotify and I LOVED it. 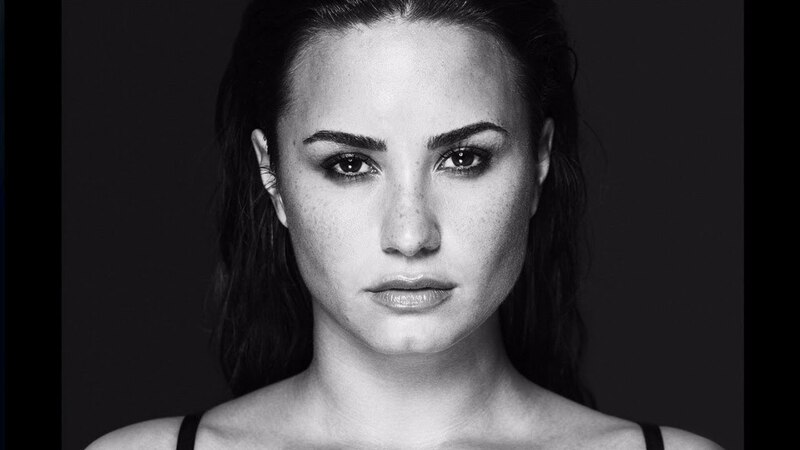 Demi, without argument, has a great voice, but I personally think that sometimes her vocals sound a bit strained when her songs require higher notes (i.e. “Sorry Not Sorry”), but the majority of this song is sung in her lower register, which is where I think she shines. I really like the synth that’s featured in the chorus and after I first heard this song I immediately added it to my workout playlist. Now I think I need to give the entire album a fair listen. 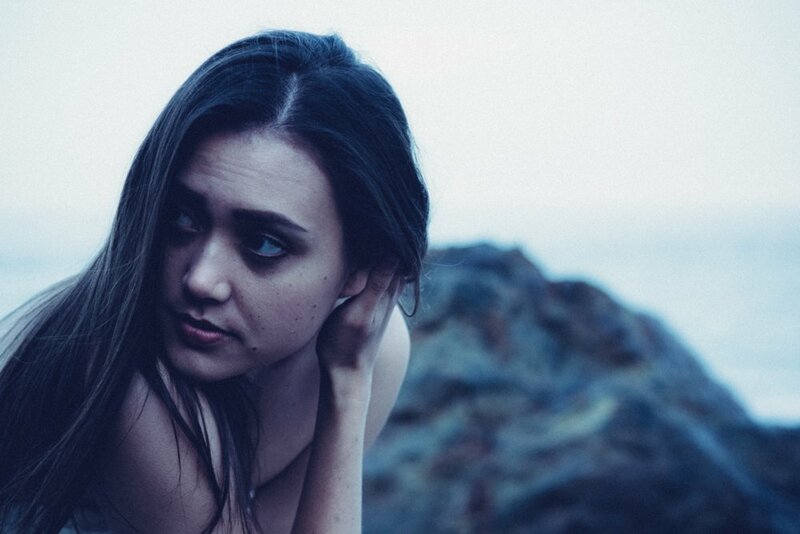 Does the name Dia Frampton ring a bell? If so, she was the runner-up on the first season of The Voice – and I fell in love with her! I hadn’t heard from her in awhile until this song appeared on my “New Music Friday” playlist and I was over the moon. After some quick Google searches, I discovered that she had an album released earlier this year, in March (boy, I have been slacking). Although her own genre of music is more indie than this song allows, I think her voice fits the song perfectly and gave her a platform to showcase her solo music as well. I’ve recently been really enjoying more dance-y songs with a strong female vocalist featured (i.e. Regina Spektor’s vocals on Odesza’s “Just a Memory”) and I think that this song is another great example of this music trend. I hope that we get to see more from Frampton soon. I never really watch America’s Got Talent, but I started following it in waves when I learned about Grace VanderWaal – the unbelievably talented and poised 12-year-old who eventually won the series, leading her to win a million dollars and sign a record deal with Columbia Records (she’s 13 now). Her debut album, “Just The Beginning,” is set to be released on November 3. Right before I first heard her single, “Moonlight,” I was skeptical of what I was going to hear. How mature can a 13-year-old sound? What sort of lyrical content was going to be featured? Oh boy, I was so blown away with that first song, and now I’m sure to listen to each single every time there’s a new one (“Escape My Mind” is the fourth single). The song talks about not being able to get a person off of your mind – a universal concept that can resonate with people of all ages, for sure. The lyrics are pretty mature for such a young age, and I applaud her for that. Fun fact: did you know that “Lauv” is Latvian for “Lion?” Now you know. If the name sounds familiar, it’s because Lauv (real name Ari Staprans Leff), has been having a pretty solid 2017. His songs “I Like Me Better” and “The Other” have over 306 million streams combined. He also has songwriting credits on songs by Charli XCX, Cash Cash, and Demi Lovato. I had heard his singles in passing and liked them, so I knew that I should start paying attention to his career. His latest song, “Easy Love,” was released last week and plays on similar topics as his previous releases – and I particularly enjoy the reggae vibes that are featured on this track more than the others. His voice also has moments where it reminds me a lot of Adam Levine. 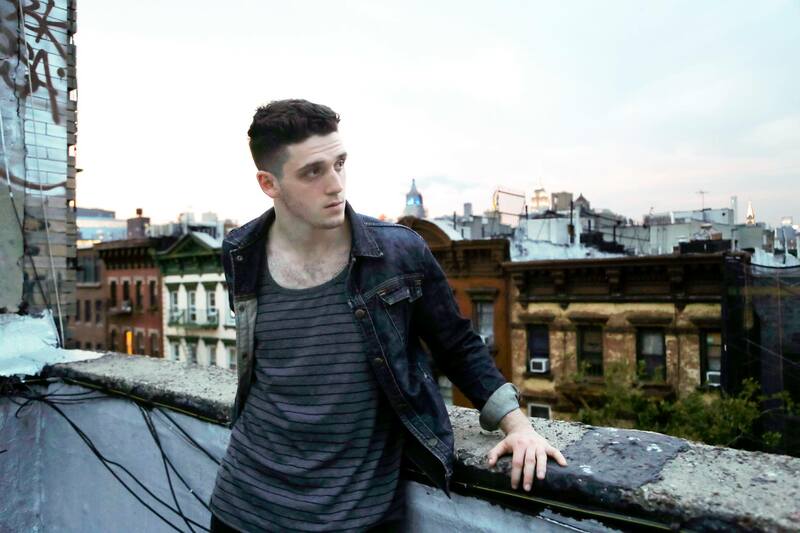 Lauv will be joining Ed Sheeran on tour starting October 25. Are you sick of me writing about Léon yet? I sure hope not! I’m going to keep this one short and sweet since I tend to write about her so much. “No Goodbyes” is her latest single that’s featured on her “Surround Me” EP. Léon is currently touring with Wrabel and they will be hitting Chicago on Saturday, October 21. I hope you get a chance to listen to her music and maybe even go see her! Click here to read my previous review on her live show at Schuba’s this past February. Disclaimer: This song appeared on the “New Music Friday” playlist I’ve been referring to and I was immediately drawn to it, but sadly realized that this song was actually not released in the past week – but had to feature it anyway because of how much I love it. 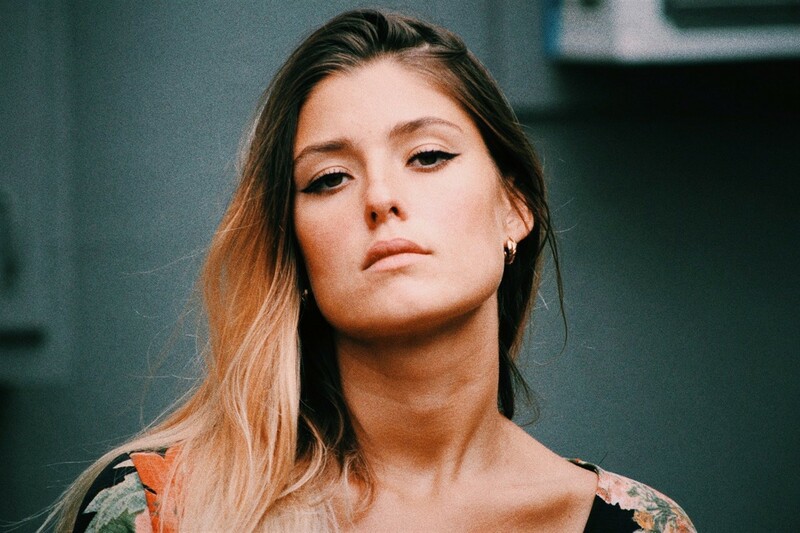 Off Bloom is a Danish group of producers who say their music is “deconstructed pop.” They have been recently finding success with their music hitting an impressive amount of streams on Spotify – their newest EP, “Lover Like Me,” has nearly 1.5 million streams after just a few weeks of being released. If Dua Lipa and HAIM decided to have a love child, this is what it would sound like. I haven’t found much about them on the internet but I’m curious to see what’s next for them. I think they have a lot of potential and sound like where pop is going to take us in 2018. I stumbled across Poppy maybe a year or so ago after one my good friends shared her music with me – and I have no issue admitting that I absolutely DID NOT like what I was hearing. I don’t particularly appreciate when musicians seem to be creating things different, off putting, and a bit uncomfortable just to make a statement. I didn’t really find anything about her music to be welcoming or enjoyable…so I figured it was the end of that. However, Poppy recently released a full length album, titled “Poppy.Computer,” last week. This song is really different than anything I tend to listen to, but I was drawn to it because of it’s futuristic, yet 80s sound that reminded me a lot Robyn and Carly Rae Jepsen. I’ve only listened to the song a handful of times so far and I think it’s definitely a song that can get old, fast, but once that happens, I will be sure to check out the rest of the album. Like I discussed above about the Dia Frampton song, I really enjoy remixed songs with female vocals. I love The Staves on their own – I saw them perform at Lincoln Hall in 2016 – they have some of the best vocals I’ve ever heard in my life. The majority of their music is on the slower side, and I think this remix gives the song a little extra life. I tend to have issues with remixes of songs that are just straight up sad, but I find something comforting about this remix – it’s not overdone and gimmicky. Click here to see a post I featured The Staves in awhile back. There you have it! Thanks for reading. Listen to below on the playlist I made for the songs on Spotify – and be sure to give it a follow!